I’m officially addicted to tacos arabes. And I probably haven’t even had a proper traditional one yet. 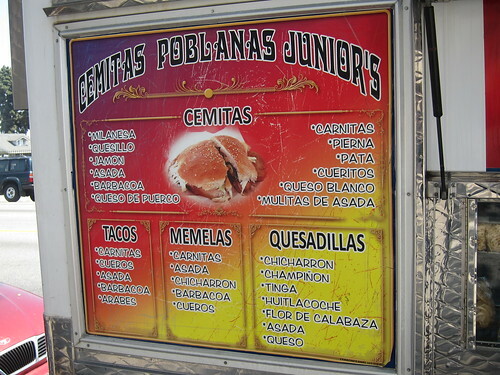 But the tacos arabes I have been eating from Cemitas Poblanas Juniors(Olympic Blvd and Rowan Ave,East LA) are all the tradition I need. 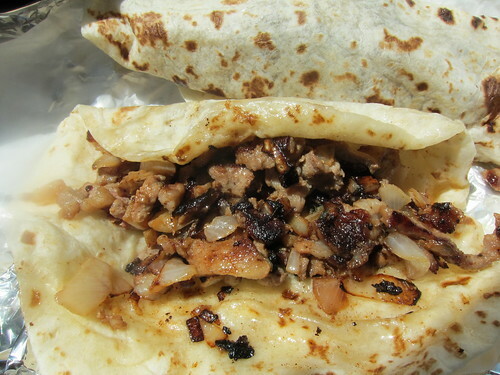 The pork is stir fried with onions in a light sauce then wrapped into a flour tortilla. And that’s it. No salsa, no cilantro, no rice; nothing else. 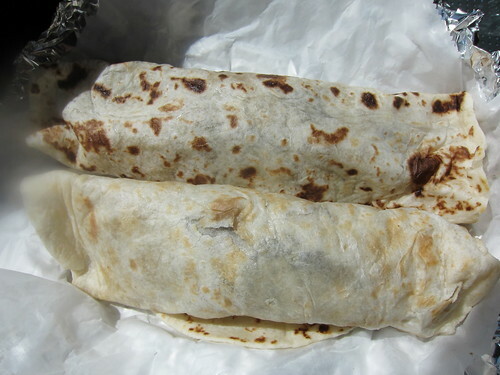 These are like burritos and at $2.50 each they are a bargain. I ordered a carne asada taco and a taco arabe. A mole type salsa came on the plate. I assumed it was for the taco arabe. 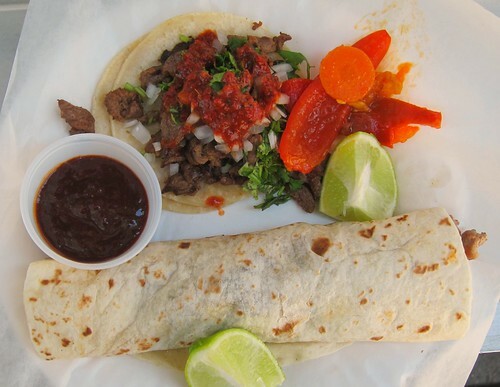 The carne asada was decent but an afterthought after I bite into the taco arabe. After a few bites I drizzled some of the mole on to the taco arabe. It was okay but I preferred the simplicity of just the pork and onions. I ordered a couple more tacos arabe. These ones were piping hot and required a tricky dance to get through. But they were beautiful and with the sun in my face and a cold bottle of Mexican coke I must have been the envy of every car passing by. Bandini, what is your rating for Cemitas Ploblanas Juniors? 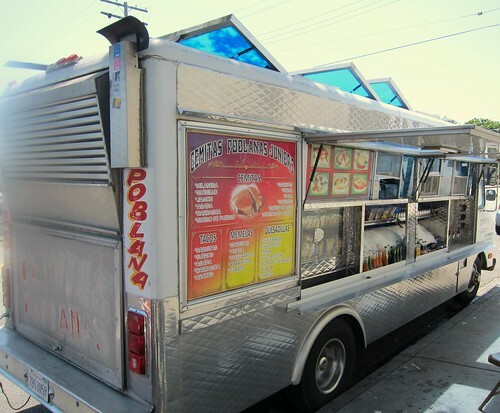 Yes what is your rating cuz those taco/burrito things look AWESOME!!!!!! oh sorry! 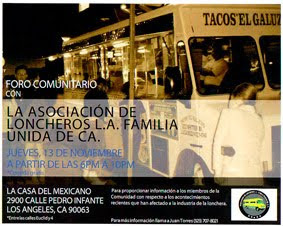 rating 3.5 . very good tacos arabes! yeah i read the piece. good stuff!